The Old Town Center for the Arts, and Red Earth Theatre are thrilled to present a Play By Tom Stoppard, with the music of Pink Floyd's Darkside of the Moon. Commissioned by the BBC in 2013 to celebrate the 40th anniversary of the iconic ‘70s album Darkside of the Moon, this philosophical comedy drama radio play is presented on stage by seven actors in a full performance. The album is played in its entirety, a soundtrack for the play underscoring the themes of conflict, greed and madness, as it pushes the story along. The sound effects, music and songs oscillate from being background to taking front stage, with key passages from Money, Us and Them, and Brain Damage among others taking over the action on stage. Use of projection enhance the fantastical and psychedelic hall marks of the album and this play. Darkside tells the story of Emily, a philosophy student who takes part in a series of thought experiments. The play begins with the classic philosophical ethics thought experiment of the train about to run into a crowd of people (The Trolley Problem). The boy who is sacrificed for the many becomes Emily’s companion on a journey through an Alice in Wonderland world of thought experiments meeting various characters along the way. Like The Wizard of Oz (to which the Darkside of the Moon album has been linked) she meets people who seem to have one role in one life and another in this world of the mind. Red Earth Theatre is noted for its innovative, energetic approach to theatre and storytelling. Their stage adaption of The Wild Party by Joseph Moncure March took a rhyming jazz style poem and performed it with 8 actors and live music. Red Earth develops new work including Morley, Loplop and The Queen, Recycling with A Unicorn and Traveling Through Shakespeare - a unique approach to Shakespeare’s cannon. They have also adapted short stories for the stage such as Pink Nectar Café by James Bishop, co-produce the annual Little Black Dress new 10 minute play series and produce favorites such as Steel Magnolias and Painting Churches. A nomadic theatre group, they perform in a variety of locations creating a theatre when necessary and embracing theatres when available. Red Earth also presents live theatre monthly at Tlaquepaque with collages of poetry, prose and music along various themes. Funny, sharp, relevant and entertaining this Darkside journey through the not-Kansas-anymore of moral philosophy brings to the stage characters such as Ethics Man (also Baggott the Philosophy professor), The Witch Finder (also Dr Antrobus), the Politician and Banker, Fat Man and Wise One. Emily is our fearless leader as we search for goodness in a world gone mad. 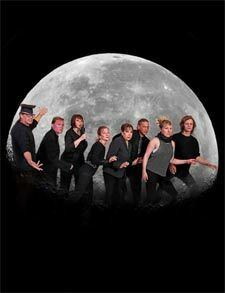 Actors featured in this production include Sarah Ann Leslie as Emily, Zeke Collins as Boy, with Terra Shelman, Phil Oberholzer, Dylan Reece Marshall, Dave Belkiewitz, Lisa Schatz Glinsky and Tiffany Grimm. Darkside is directed by Kate Hawkes. Running for a packed hour, each performance will be followed with an Act 2 of either a Pink Floyd film or live music in the spirit pf the 70s. Please check the website RedEarthTheatre.org for more details, which are unavailable as we meet the press deadline. This is a unique opportunity to revisit an old favorite or meet a classic connected to our current experiences with intellectual wit and musical beauty. Copyright © 2009-2017 Old Town Center for the Arts. All Rights Reserved.